A Russian court ruled in favor of the government seizing oil company Bashneft’s shares in response to what the state claims was the firm’s unlawful privatization. Analysts believe the ruling casts doubt on the results of the mass privatizations of the 1990s. 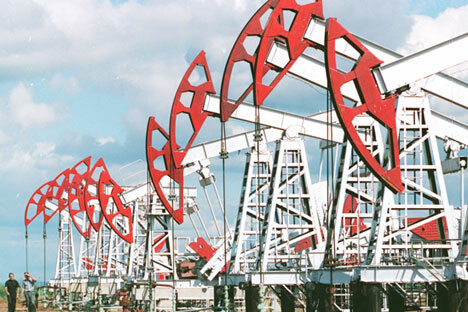 Oil producer Bashneft’s shares should be seized by the Russian government because the company was unlawfully privatized in the 1990s – this was the ruling issued on November 8 by the Moscow Arbitration Court on a lawsuit filed by the General Prosecutor’s Office against Bashneft’s main shareholder – tycoon Vladimir Yevtushenkov’s AFK Sistema. The General Prosecutor’s Office sued AFK Sistema in a bid to get Bashneft’s shares seized by the state on Sept. 24, 2014. That lawsuit was satisfied on Oct. 30, but the final ruling was published at a later date. According to the official document, the court upheld the General Prosecutor’s Office’s argument that the regional authorities unlawfully privatized Bashneft, whose main assets are located in the Republic of Bashkortostan, a region almost 900 miles east of Moscow. The court dismissed AFK Sistema’s main argument that the statutes of limitations had already expired for all possible legal violations because Bashneft was privatized back in the 1990s. According to the court, the legal breach is still ongoing, and the statute of limitations begins on the date that the entity against which a lawsuit can be filed is identified. “It’s hard to call the Moscow Arbitration Court’s ruling unforeseen. No signals were given that this deal would be deemed legitimate. It remains to be seen how events will unfold,” says Anton Soroko, an analyst at investment holding Finam. He adds that it is difficult to say who will be the company’s ultimate beneficiary. “The company could either remain under federal ownership or enter the open market, which would bring money into the budget. But the optimal solution for the country would be for it to be left as AFK Sistema’s asset and to reimburse some of the lost funds,” Soroko says. “The key fear investors have with respect to this case is that the results of privatization could be reviewed on a mass scale, which threatens a loss of capital for many investors in Russian assets – both Russian and international. Nonetheless, at this point it doesn’t look like a plausible scenario,” says chief analyst at UFS IC Ilya Balakirev. According to him, the government could demonstrate that the events surrounding Bashneft will remain on the legal field and will not signal a global threat to the institution of private property. “They need to convey the message that this is a private case that won’t act as a precedent and that minority interests in this situation will be protected,” Balakirev says. However, “unhealthy associations with the Yukos case are inevitable and are likely to have some impact on how the risks of investing in Russia are perceived,” he adds. The Russian government has already said the company might be reprivatized. “It would be logical to include Bashneft in the privatization plan. The government would receive revenues, and the company would work in market terms,” news agency Interfax quotes Russian Energy Minister Alexander Novak as saying. “We will probably only know the final ruling on this case after the appeal, which representatives of AFK Sistema are currently considering filing. So the outcome of the case isn’t completely clear yet,” says Dmitry Bedenkov, director of the analytical department at IC Russ-Invest. In mid-September 2014, Russian law enforcement brought a criminal case against Vladimir Yevtushenkov (who is worth $9 billion, according to Forbes), one of Russia’s most prominent business tycoons. According to law enforcement, Yevtushenkov’s structures acquired shares in Bashkortostan’s largest oil producer at an illegal discount of $500 million. As a result, the entrepreneur was placed under house arrest. The case has compelled analysts to compare Yevtushenkov’s situation with former Yukos chief Mikhail Khodorkovsky, who was freed after a decade of imprisonment at the end of 2013. Structures belonging to Yevtushenkov bought enterprises in the Bashkortostan fuel and energy complex from the family of the republic’s ex-president Murtaza Rakhimov in 2009. At the time, Bashneft was run by the former president’s son Ural Rakhimov. According to the terms of the deal, the purchase was supposed to be worth $2.5 billion; however, as AFK Sistema has repeatedly explained, $500 million was to be paid only if the company achieved particular financial results. Bashneft did not end up getting those results, so the purchase was worth exactly $2 billion. In the opinion of law enforcement bodies, Yevtushenkov’s structures unlawfully got their hands on Bashneft shares because of a real difference in price of $500 million. Now, the court has ruled, those shares need to be returned to the state.